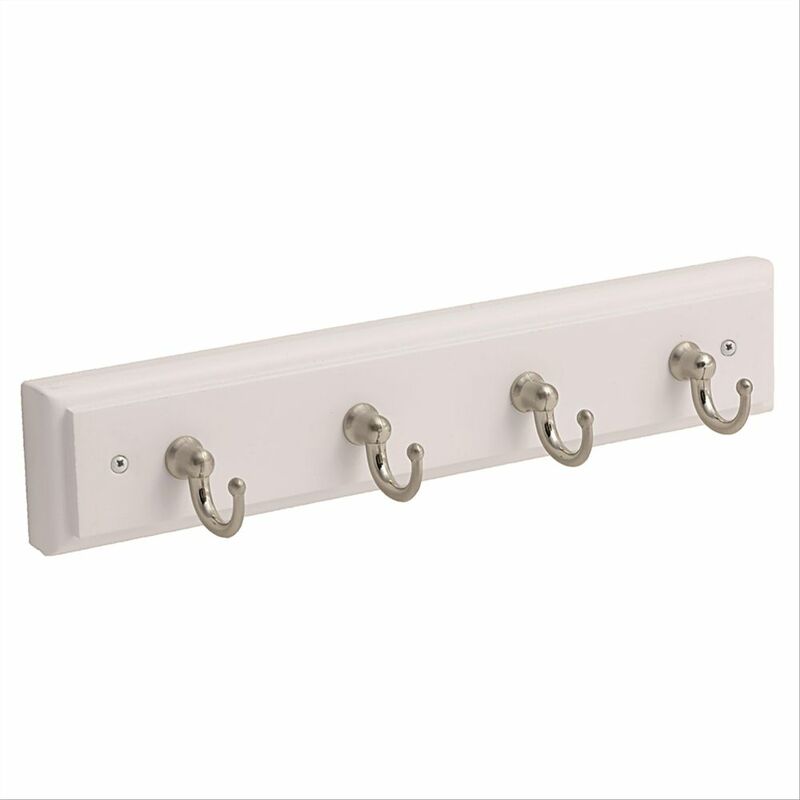 The Amerock HR55590WG10 Decorative Hooks 8-5/8in(219mm) Key & Gadget Hook Rack is finished in White/Satin Nickel. The classic Satin Nickel finish provides a sleek, lightly brushed, warm grey metallic look. Command Crystal Knob Rack is great for displaying and organizing accessories such as necklaces, bracelets and scarves in the bedroom and closet. Command Decorative Hooks come in a variety of styles, such as this beautiful crystal knob style, giving options for every room and every person in the home. Key & Gadget Hook Rack 8-5/8 Inch (219mm) - White/Satin Nickel The Amerock HR55590WG10 Decorative Hooks 8-5/8in(219mm) Key & Gadget Hook Rack is finished in White/Satin Nickel. The classic Satin Nickel finish provides a sleek, lightly brushed, warm grey metallic look.